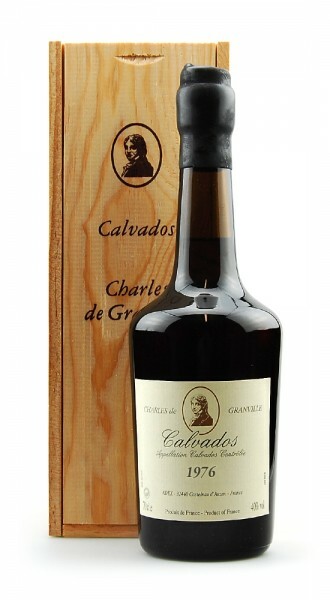 Produktinformationen "Calvados 1976 Charles de Granville"
Verkostungsnotiz Calvados Charles de Granville 1976: Excellent golden colour with amber reflections. The nose welcomes us with a real fruity symphony, where notes of apple compote and honey meet delicate aromas of cinnamon and vanilla, all wrapped in sweet spices and slight rancio. Round and smooth in the mouth, it develops aromas of stewed apples and toasted hazelnuts. Long honey and subtle spicy finish.